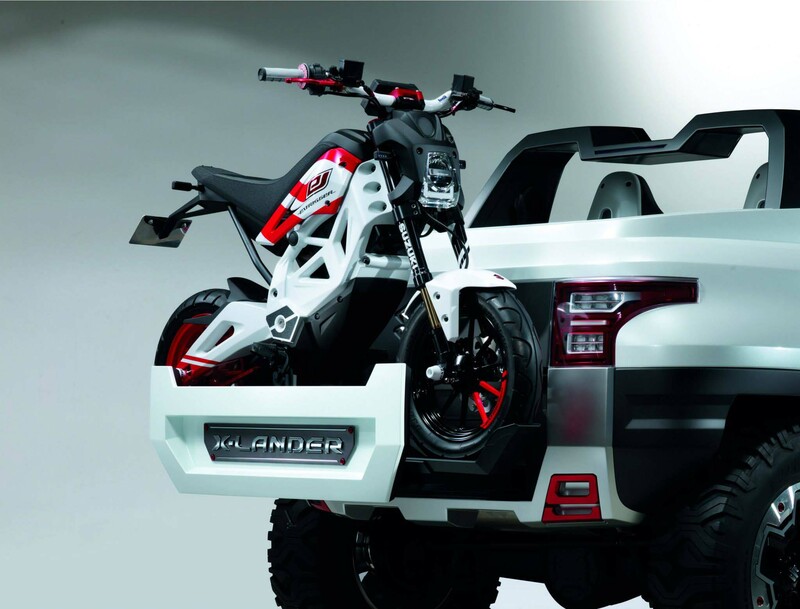 A brand better known for trotting out the same “timeless” designs each year, Suzuki seems to be finally waking up from its recession-induced slumber, and debuted two intriguing motorcycle concepts at the Tokyo Motor Show. 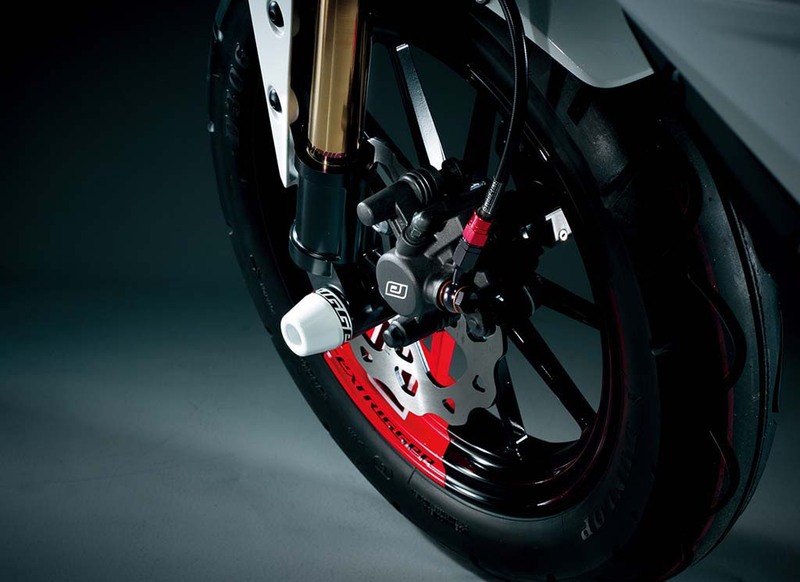 We already showed you today more photos of the turbocharged Suzuki Recursion street bike concept (please Suzuki, build this bike), and the Japanese OEM has shown a shining for the budding electric segment as well. 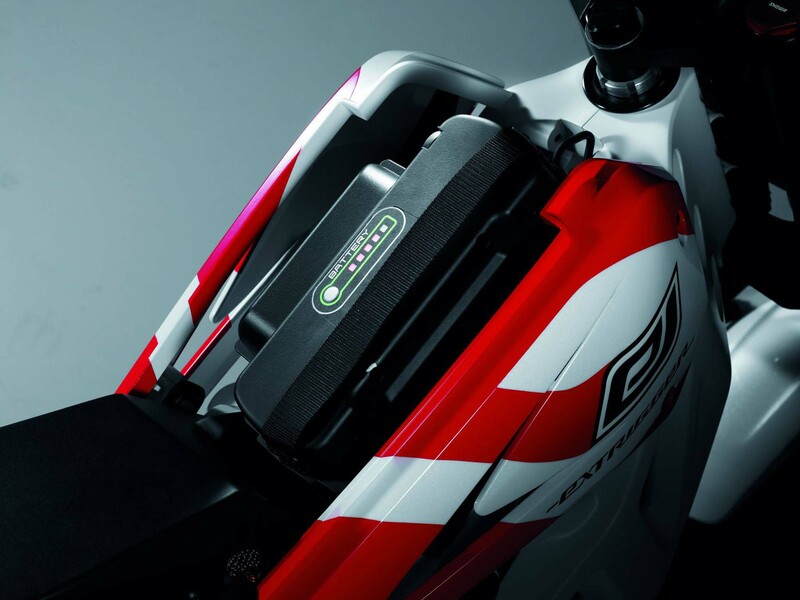 The Suzuki Extrigger electric concept is an interesting machine, as its form factor is very similar to the Honda Grom. 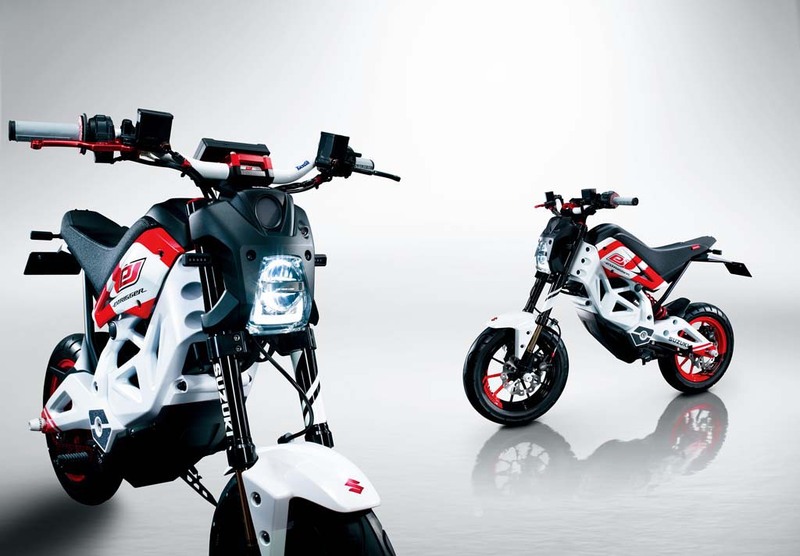 Using the same electric motor as the company’s Suzuki E-Let’s scooter, we can assume that the Extrigger is packing the same unimpressive figures of 2hp and 11 lbs•ft of torque as the E-Let, though Suzuki does say that the Extrigger weighs a paltry 137 lbs, which is alluring. 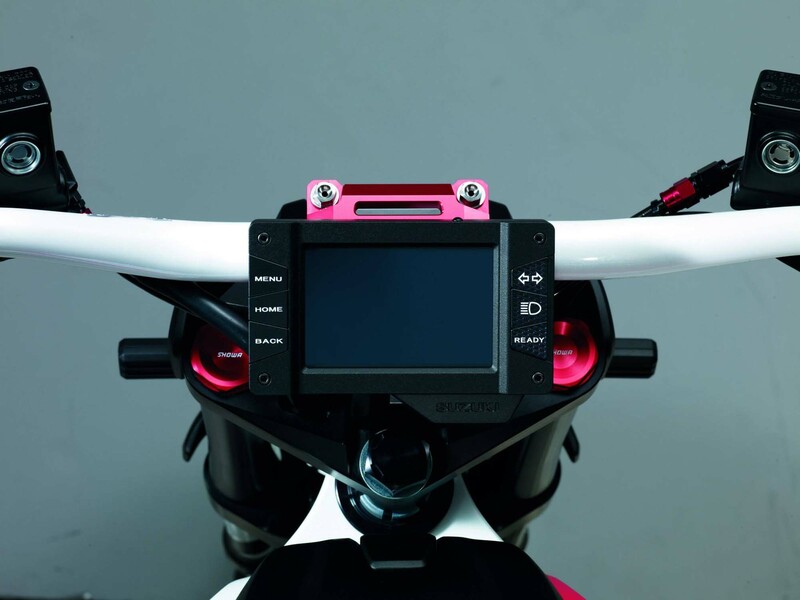 Storing the juice, the battery pack on the Extrigger is conveniently located underneath the seat, and is swappable by the rider, which should help boost what is surely a very limited range for the electric monkey bike. 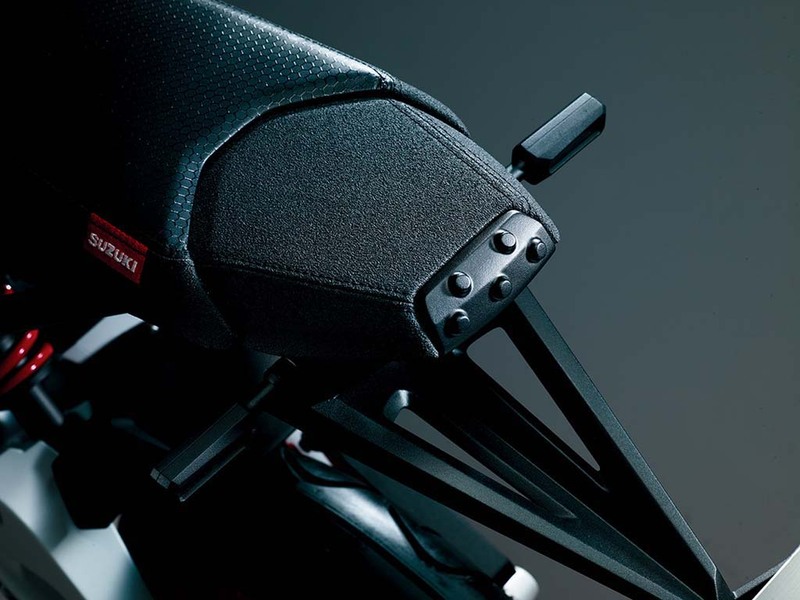 Because the Extrigger runs on electrons instead of petrol, Suzuki saw fit to include some sort of connectivity package to the motorcycle — as has become standard in this space. 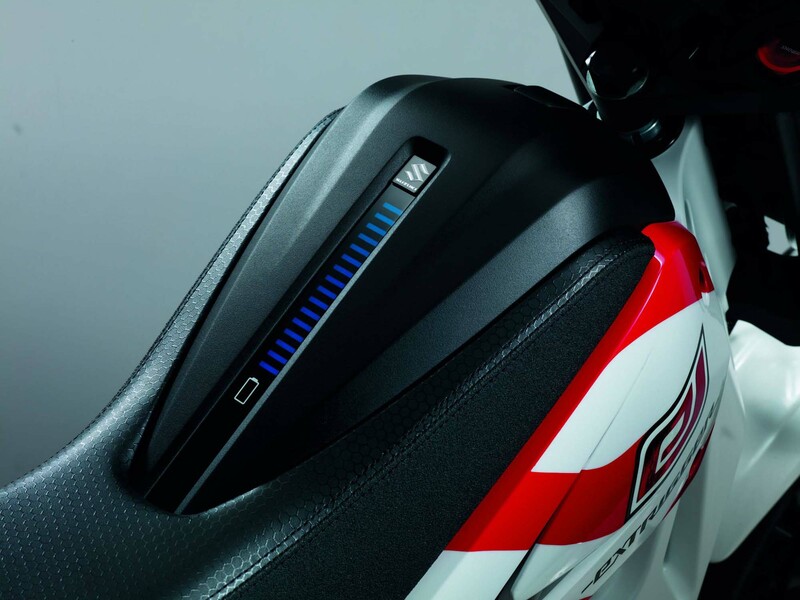 Unlike the bluetooth or wifi variants we have seen from other OEMs, Suzuki is using a visible light communication system (VLC) from Casio, which would presumably allow Extriggers to inter-communicate, as well as connect with other VLC devices, because…you know…you need that. 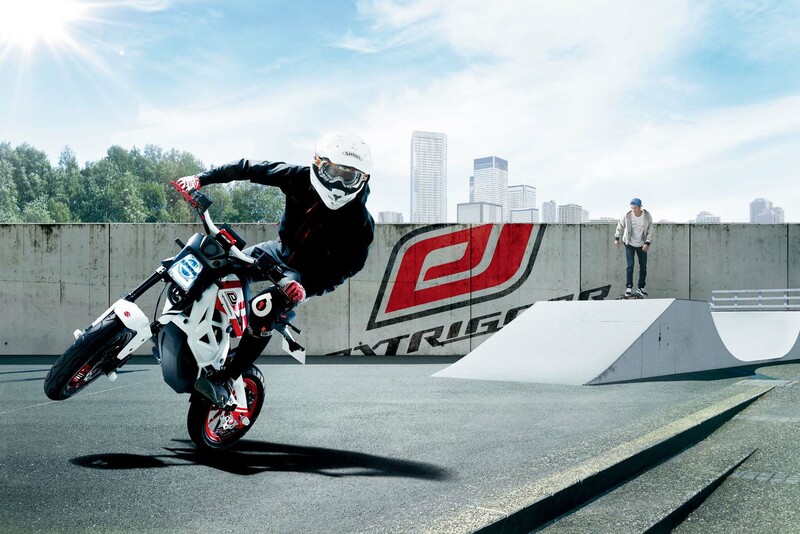 Suzuki is clearly trying to think about the future of two-wheeled transportation though. It is not hard to look into the crystal ball and see a world of electric vehicles that are connected to a communication grid (think autonomous vehicles). Is VLC a part of that future? Only time will tell. 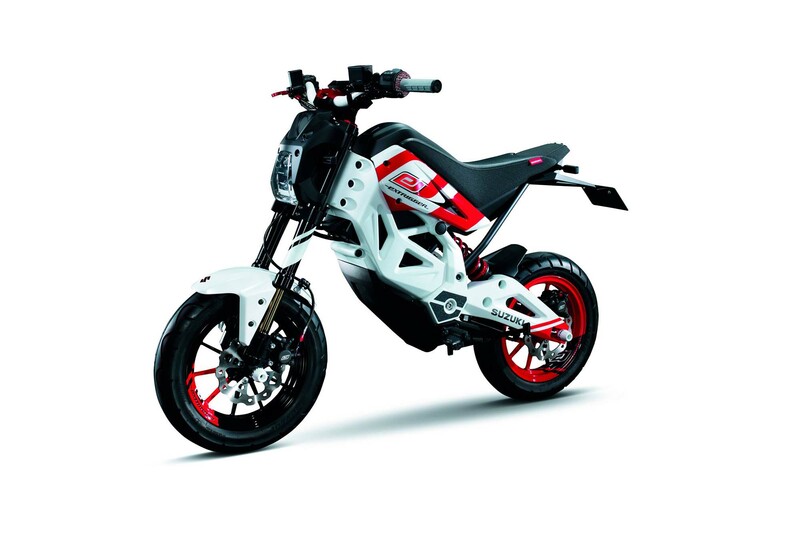 Until then though, this just looks like a fun pocket bike to hoon around on.